When it comes to keeping your home organized and clutter free most people would say they could use more efficient storage space. The design market is flooded with companies offering up their closet renovation ideas promising to increase functionality while giving it a refreshing look. Wood, plywood, and plastic are the most common materials used to remodel closets because of their durability and resistance to bending. If you are considering a closet revamp, follow one of the current design movements and use reclaimed wood! Although your closet it not usually visible to others or a room that people ask to see, it is one of the most important rooms in your home. A closet that is beautiful and well put together can be visible without embarrassment to the homeowner. Reclaimed wood is not only the strongest type of wood you can get but will make the interior of your closet pop! Armories: Everyone loves the classic sleek look of a well -designed armoire. A traditional armoire can be used as a free -standing closet or built in on the inside of a walk- in closet for a more luxurious feel. When you build an armoire out of reclaimed wood you can rest assured that it will be able to withstand wear and tear. Reclaimed wont bend or crack so it won’t falter when drawers are opened and closed thousands of times a day. Shelving and Drawers: By strategically designing shelving and drawers you can more than double the amount of storage space in your closet. By pairing the reclaimed wood with decorative hardware and piping you can achieve whatever style you are after from modern to industrial. Shoe Racks: Shoes are one of the things that can be the most difficult to store. They are bulky, come in difference sizes, and don’t organize neatly. Building shoe racks out of reclaimed wood can mask the disarray and make your closet feel neat and tidy. Planning out a new closet design can feel like an impossible task. Knowing how to get the most of your closet space can be a challenging. No two closets are alike and one design wont work for everyone. Your new closet using reclaimed wood should be unique to you and your storage needs. No matter how amazing your reclaimed wood closet turns out, if it does not hold your clothes and other items efficiently it will not matter! Sit down and make a list of exactly what you plan to store in the reclaimed wood closet that your designing. Is it just clothes? Shoes too? Undergarments and socks? Large and bulky coats? Any type of equipment?These questions are important so that you make sure you incorporate the proper reclaimed wood shelving, nitches, and drawers to house it all. 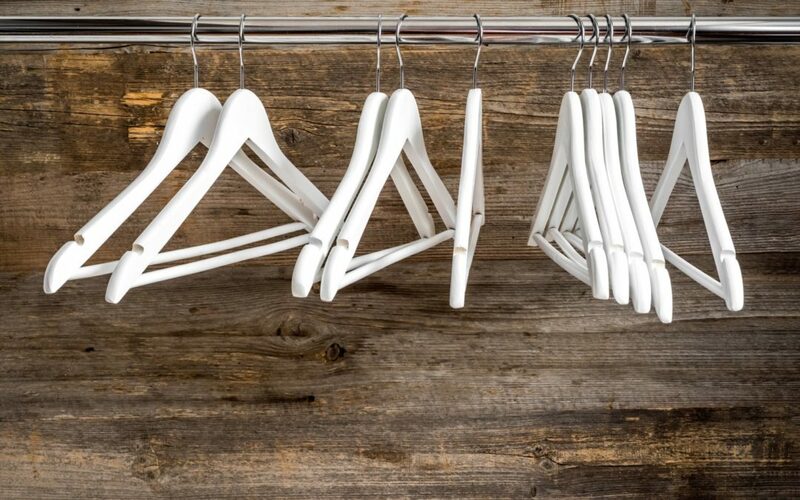 Pants, Scarves, and Long Coats – When it comes to storing these items are you partial to a single or double bar configuration. Since reclaimed wood is so durable it can hold a lot of weight so either is an option. Many people do not like to fold pants or have coats and scarves blocking the view of lower storage spaces. Jewelry, Belts, and Hand Bags – If you are going to store these items in your reclaimed wood closet you will need to plan out special space for them to stay organized. By adding decorate hooks to the reclaimed wood wall you can store hand bags, belts, and jewelry in a boutique type manner making them visible and easy to reach. Lighting, Lighting, Lighting – This is an importance element to your reclaimed wood closet that is often overlooked until the last minute. Despite how well planned out your reclaimed wood closet is, if it is not brightly lit you still won’t be able to find anything! Consider the overhead lighting as well as lighting in drawers and shelves. Planning your newly renovated reclaimed wood closet can be fun! When it is done you will appreciate its value on a daily basis! Your belongings will take on a whole new meaning when the are displayed in an elegant and sophisticated manner! Start the renovation of your new reclaimed wood closet today!